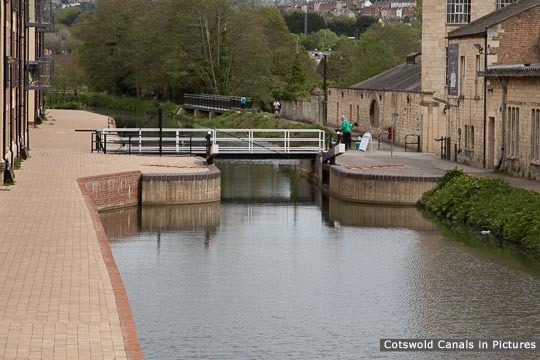 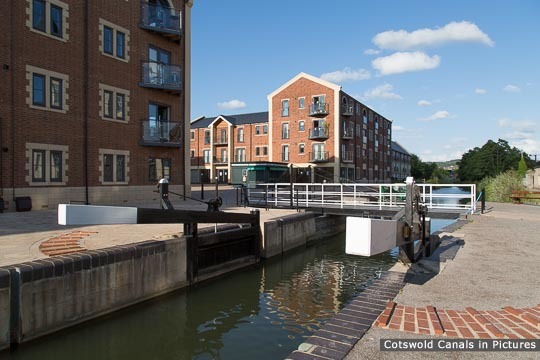 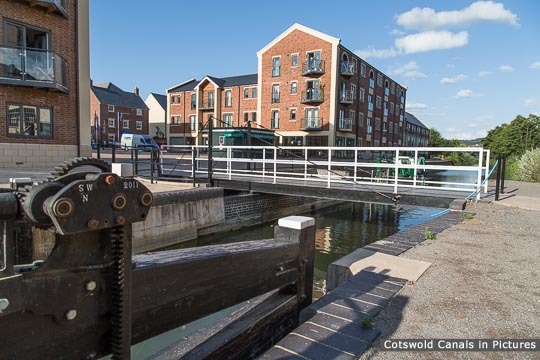 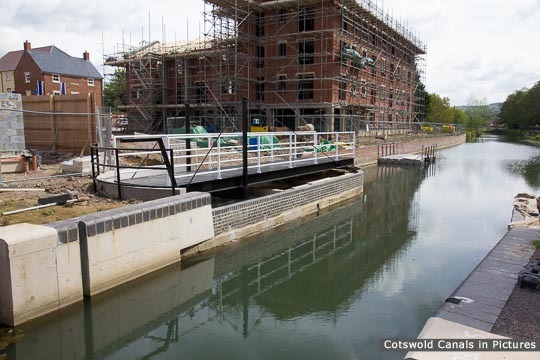 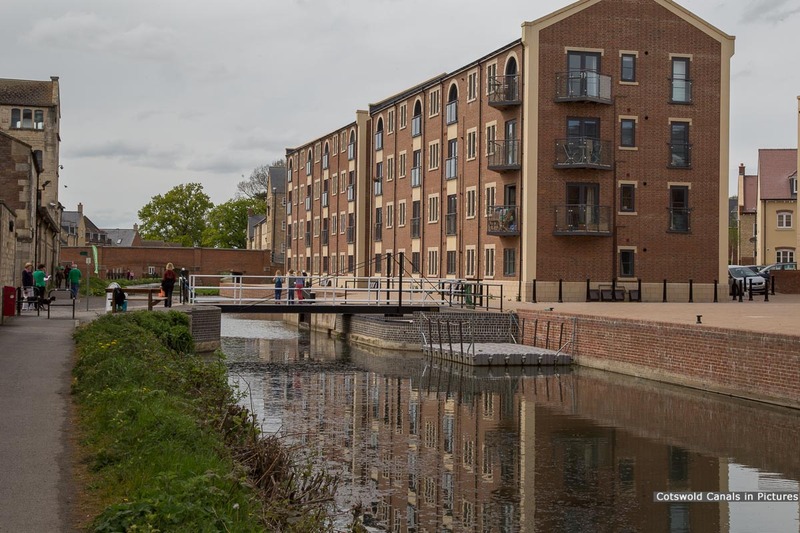 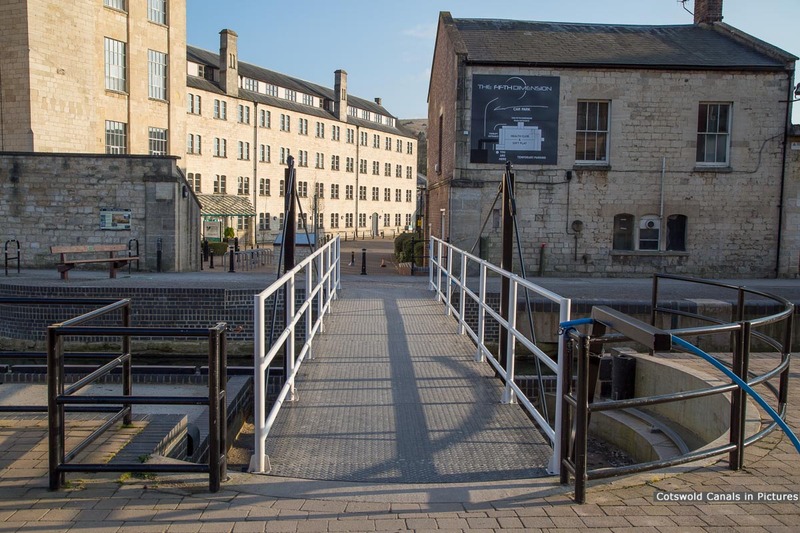 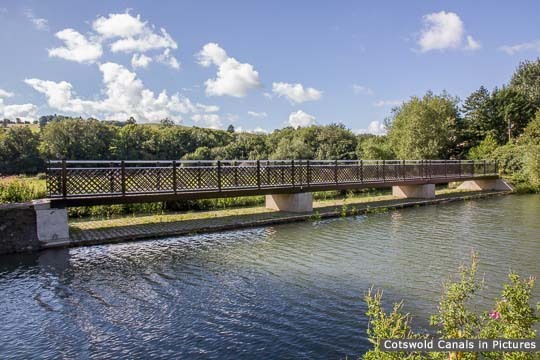 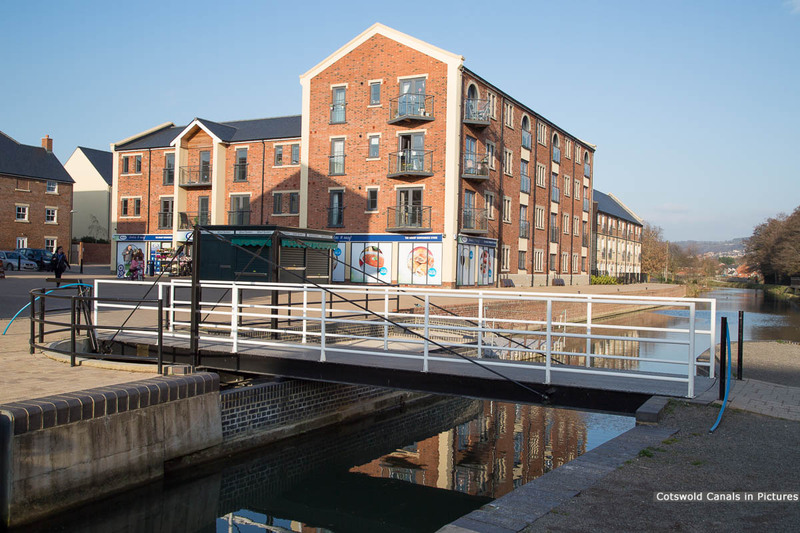 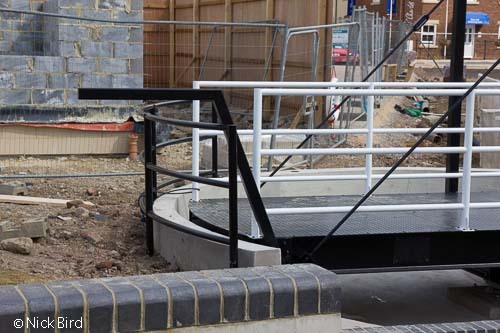 This is a new pedestrian swing bridge that is in the same position as the former roadway to the Stroud District Council Offices at Ebley Mill. 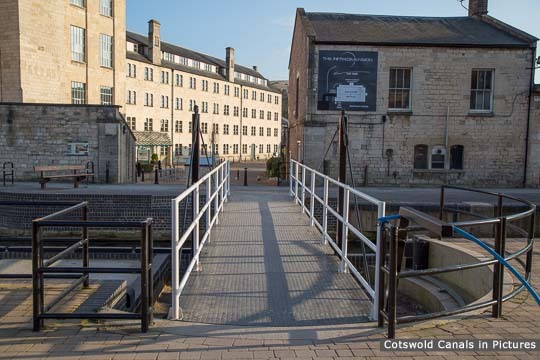 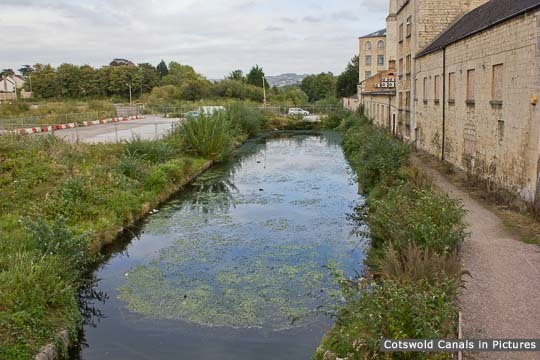 Vehicular traffic now uses the nearby Ebley (road) Bridge. 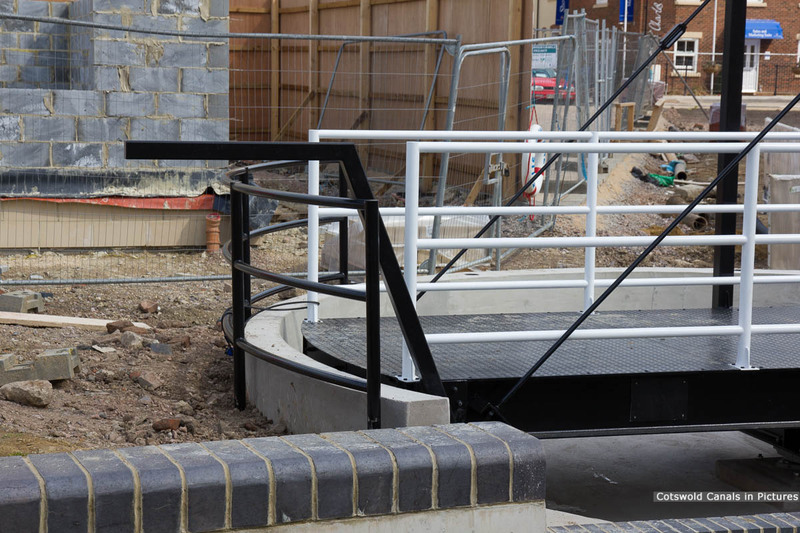 The bridge, installed on May 17, was first operational during the week beginning 16 September 2013.